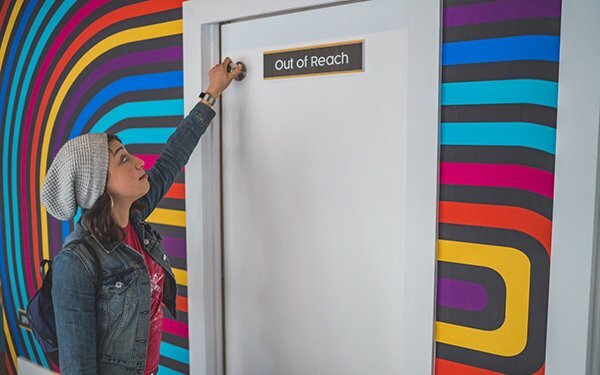 Havas Chicago has a new installation open to the public which has been designed to appeal to both February's Black History Month and March's Women's History Month. The second annual #BLACKATWORK installation invites people to experience slights and biases experienced by minorities through a 70s-inspired game show "The Pursuit." Players might learn, for example, that "white applicants receive 36% more callbacks than equally qualified African Americans." The exhibition will also focus on the unfair disadvantages black women face in the workplace every single day. Havas is also launching a new diversity and inclusion program, internally and externally. The first external activation will be a recruitment event featuring this installation and will be open to the Chicago community. Havas Chicago has regularly used its lobby as an exhibition space to host community events and better communicate with its neighbors. Other recent installations included "Dibs" that raised $5,000 for a homeless shelter and the "Breast Cancer Fight Club" that raised more than $11,000 for breast cancer research.